It was a hustle bustle day for me, on last Saturday. After attending the first event at One City and right away I headed to Sunway Pyramid, in a rocket speed, just to attend Missha Opening Launch although I knew we were already late LOL. Because I just can't simply skip this. You may not know how fast this brand grew in South Korea, even to the world. 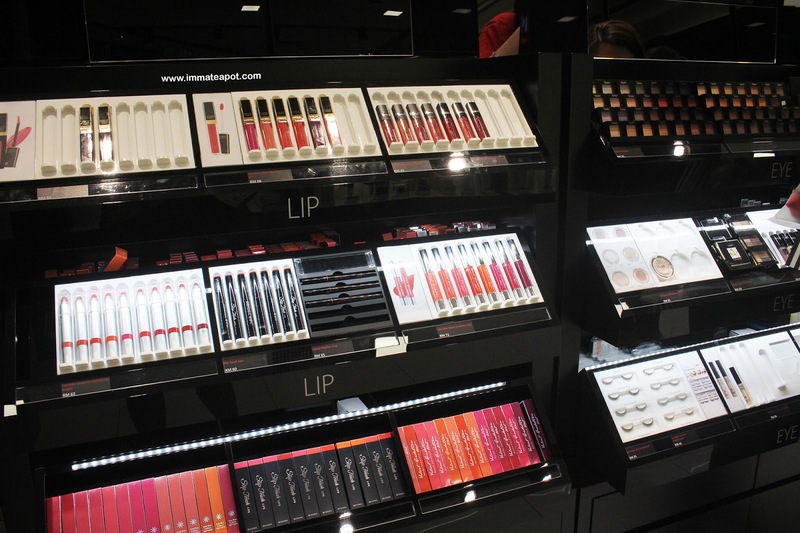 It was started as an online cosmetic and makeup brand in 2000, by 2003 it has reached out more than 10 million of users and today it has expanded to more than 32 countries around the world. 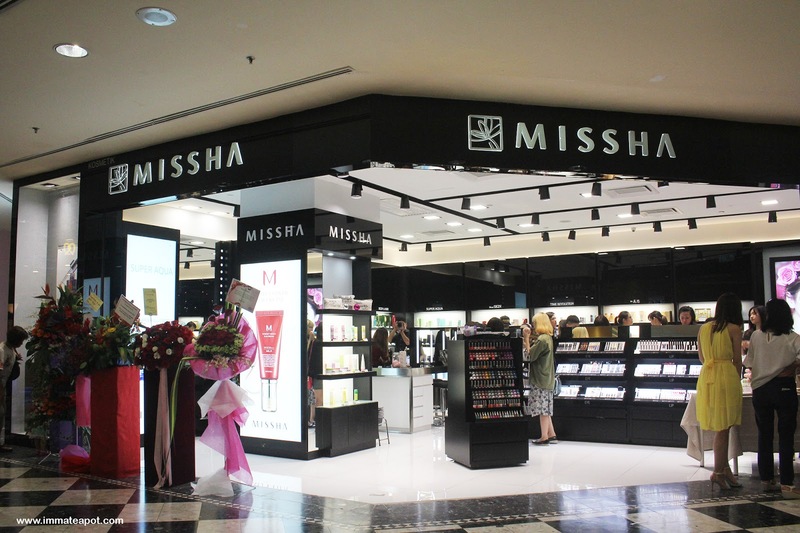 Thus, a good news was -- Missha has opened its very first flagship store right in Sunway Pyramid, Malaysia. It was located at the corner at LG1 floor, which is close to the Pyramid Ice Rink. The interior design of the store came with the simplest concept of matching color of white and black, giving the shop an elegant and classy feeling. 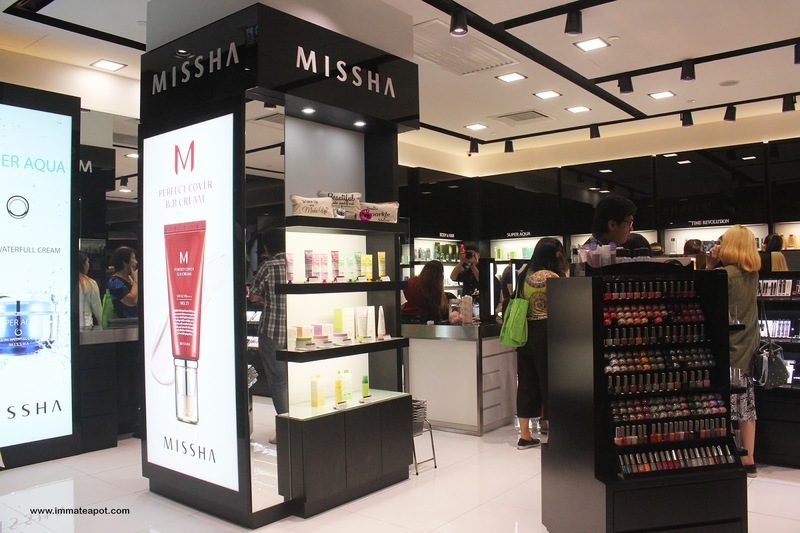 Here you can see Missha offers a wide range of products, covering from skincare, body care, makeup, fragrances and hair care lines. 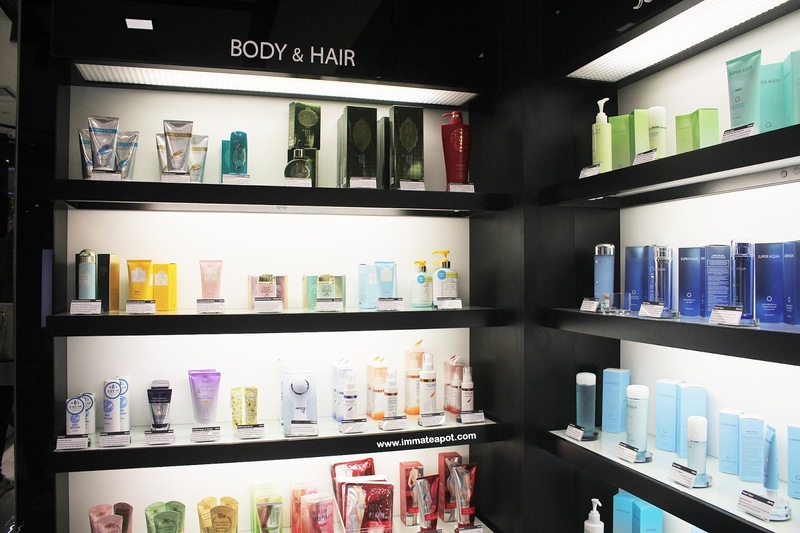 All the products are perfectly-organized on each and every shelf, so you will not find it hard to look for a specific item. Here's lip section on left and eyes section on right. 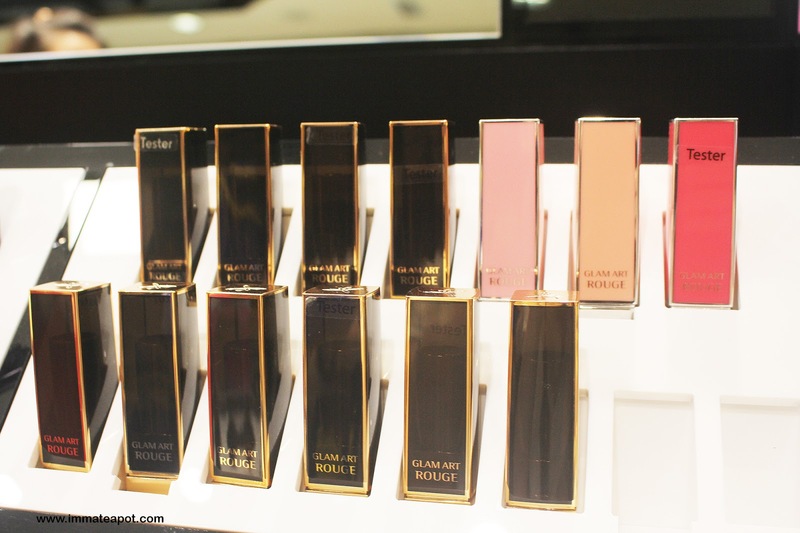 On the lip section, you may find lip gloss, lip tint, lip stick, lip crayon and lip lacquer. It was so much to look at. 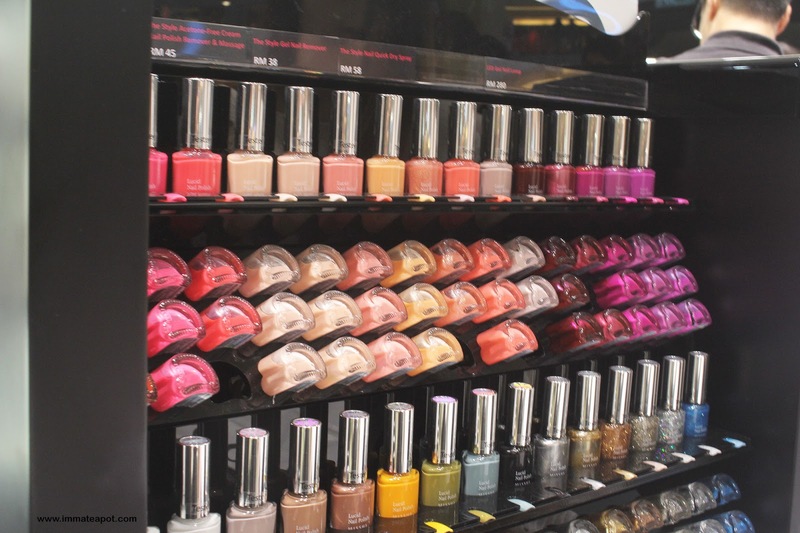 They even have the nail session here with a lot of shades to choose from. 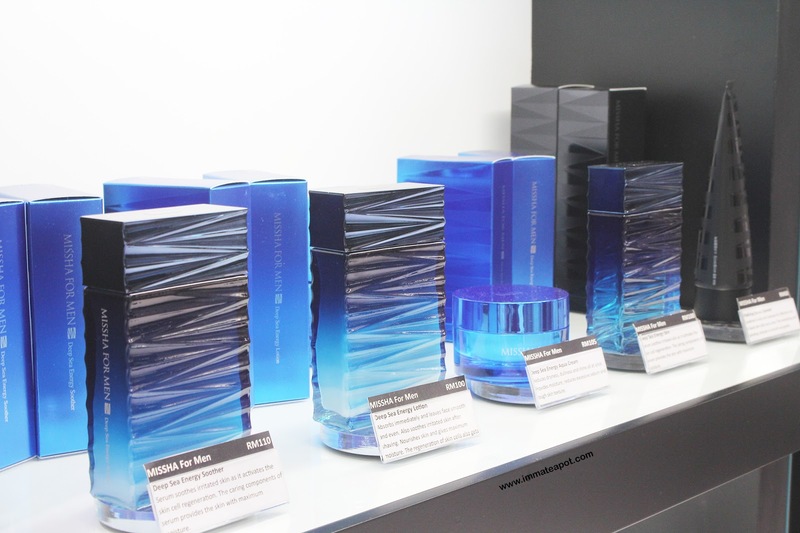 Beside satisfying all the women's demand, they do offer a various of skincare products for MEN! Well, men can have nice packaging design for their products too. I really love how simple the packaging is, with only red, blue, black and white colors, as a differentiation for each series and products' functionality. It comes with geometrical slanted strokes design and gradient shades, giving the item a special handling texture and looking like the sea wave. Ok. I feel like buying this for my man though. 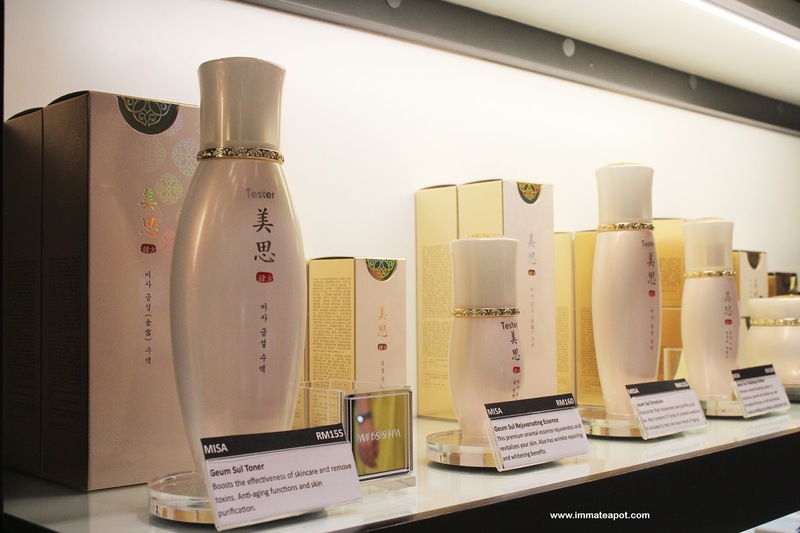 Here's the skincare session, with so many cute and lovely packaging, with a hint of Korea Culture. 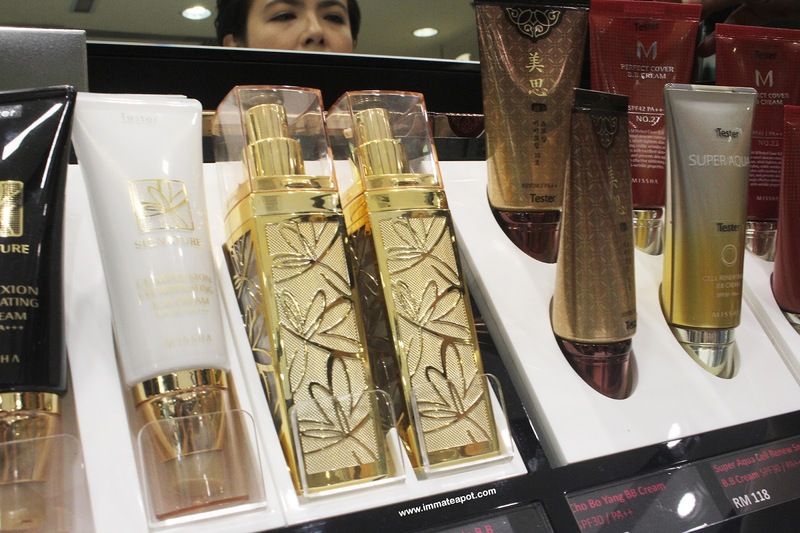 I am a graphic designer, hence I am quite obsessed with product packaging LOL. This was my favorite packaging among all. 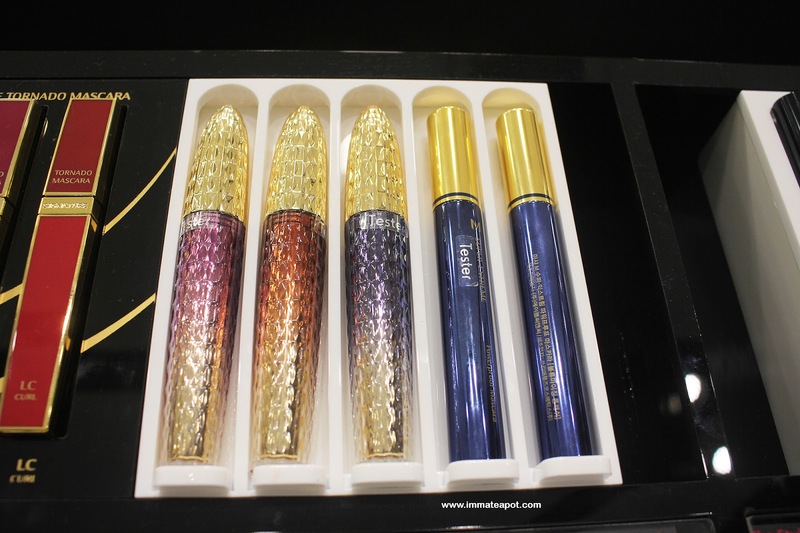 It was actually a mascara with a full diamond cut design on the packaging itself and gradient shades. 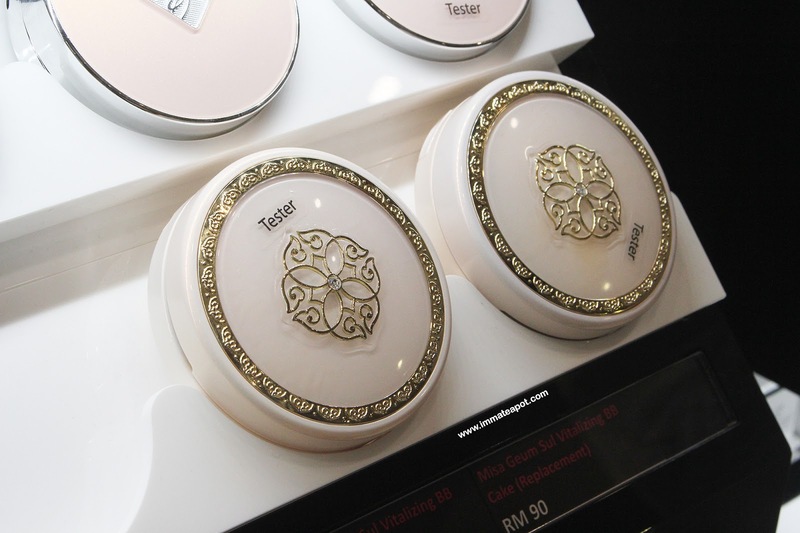 The design was so exquisite and looks luxurious. I really don't mind to carry it in my bag everyday. This was Missha Geum Sul Vitalizing BB Cake, look at the gorgeous packaging, so timeless! I really can't resist all the nice packaging in the store. This was the bestseller from Missha, the Signature Wrinkle Filler BB Cream. The fancy gold packaging aside, it was renowned for its perfect formula that works like a filler which instantly cover up the fine lines,wrinkles and pores, leaving the skin with smooth and even finish. 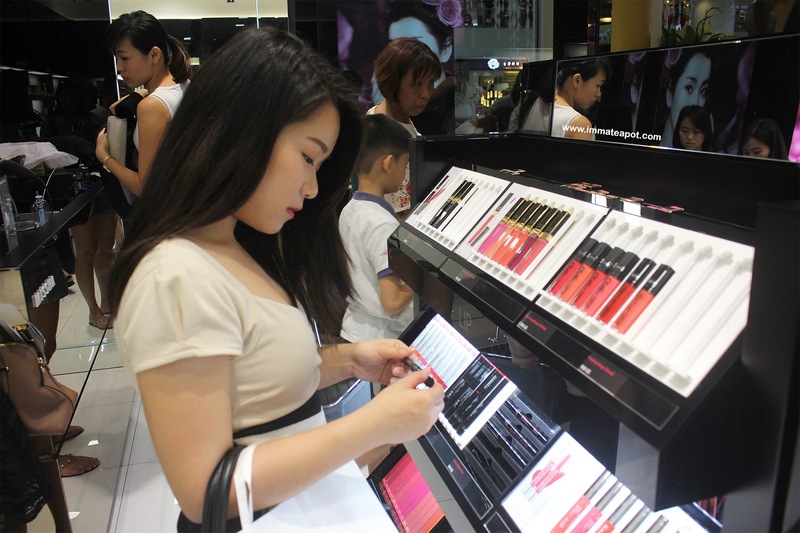 Glam Art Rouge was also the bestseller of Missha, which known for its rich and even color, as well as UV blocking benefit. With the glide on formula, it adheres well on the lips while moisturizing it. Signature Glam Art Rouge for rich, even color with UV blocking benefit. Misa Geum Sul Vitalizing Eye Cream was another bestseller in Missha, where it is a great anti-aging eye cream that helps getting rid all the sign of aging around the eyes area. 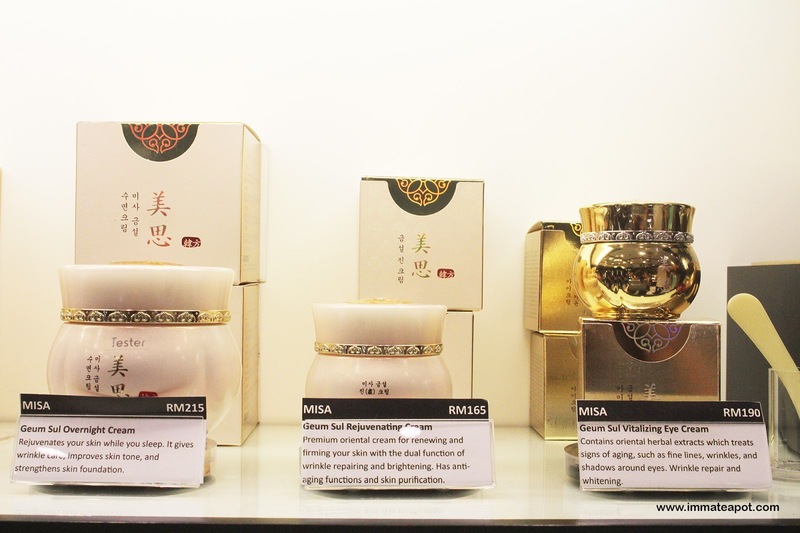 It has all the wow ingredients within like ginseng, deer antlers and gold extraction as shown on its packaging. It looks like the temple's bowl LOL, so cute and tiny. 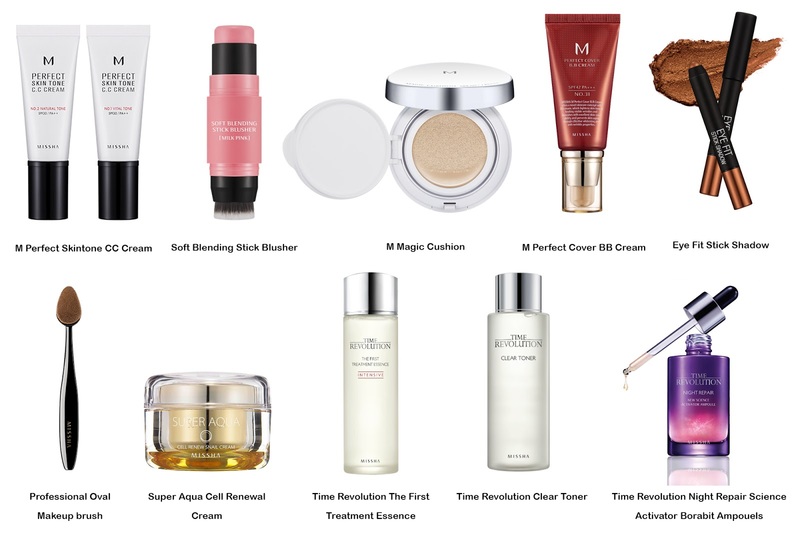 Besides three of the items I have introduced above, here are a list of Missha's bestsellers. You should definitely visit the store and explore yourself with some on the spot hands-on! For Christmas shopping maybe? 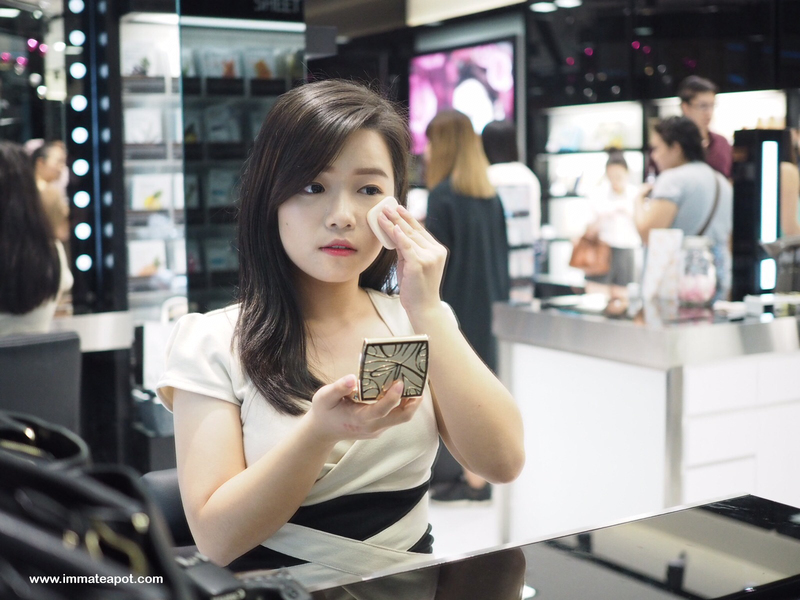 All the items here are 100% genuine from South Korea and come in affordable price as I knew women nowadays hook on the Korean Skincare trend. You should just pay a visit! Anyway I have bought a lip tint and tinted eye brows for myself, a matt lip stick as Christmas gift for my girls. Smokey Eyes Makeup for New Year Eve!